It's every single mum's nightmare: you are invited out for a drink with other mums from your child's class, and they spend all evening alternating between complaining or boasting about their husbands or partners. You attend an evening do at another mum's home, only to discover you're the only single woman in the room. Where are all the other single mums? Many single mums feel like social outcasts, and often with good reason. Married friends don't always know whether to invite you to a couples-only event where you might feel uncomfortable, or to not invite you and risk your wrath. Other women occasionally eye you with suspicion, thinking you're out to get their man. Babysitters are expensive and usually your social life consists of a glass of wine in front of the telly. You need a friend, someone like you, who shares not only your hopes but also your own shared experiences. Finding other single mums can be difficult, especially when you work. It can be hard to meet up for school coffee mornings or attend after-school events, and it can be even harder to meet new people at the workplace. Most people are accustomed to spending years within the confines of a safe social circle, and breaking out of it can be almost impossible. Look online. Many single mum sites exist, and many parenting sites have single mum categories. Be careful if you decide to meet up with someone – always do so in a public place, preferably with another person. Social networks. 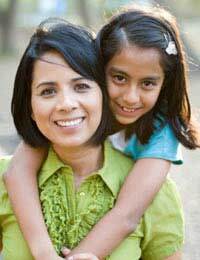 Single parent clubs and groups are good places to meet single parents of both genders. Go to a social event and see who turns up. Enrol in a course. It's often hard to meet a new friend outside your own circle. Enrolling in a course will open up new fields of opportunity to meet like-minded people. Take a trip. Single parent holidays are fantastic ways to meet other mums, and some social networks even offer day trips for single parents and their families. Form a babysitting circle. Put a sign up in your children's school offering to swap babysitting duties with another single mum. You'll have a free night out with your old friends, and hopefully make new ones at the same time. And your children might have fun as well! Build your own network. Start your own club or group with other single mums in your area by putting up signs in the local newsagent's, library or school. Having interesting, fun and supportive friends is crucial to everyone, but single mums perhaps need them most. Meeting other women who are in the same position as you can be a godsend. It can mean a lot to meet other mums who understand your needs and desires, and comprehend exactly the situation you are in at the moment. Get out there and find them – they're waiting for you! Looking forward in making friend with a single dad.